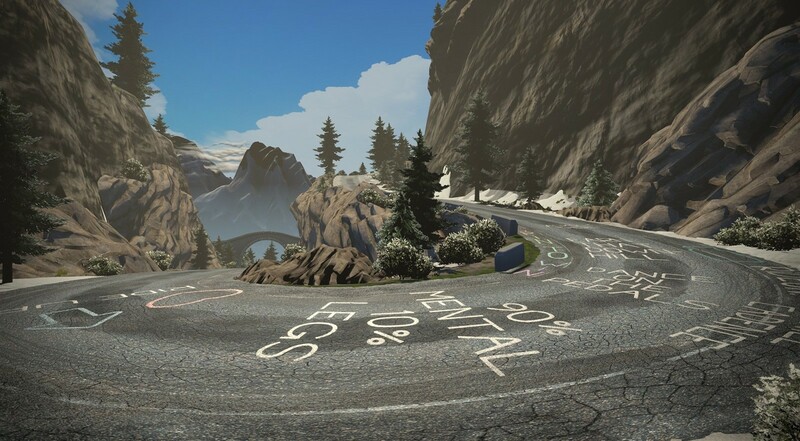 Zwift created this route using GPS data to perfectly match the incline and distance of the storied climb with its 21 hairpin turns. 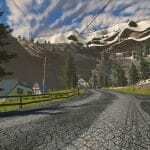 The climb to Alp d’Huez actually has two different finish points: the “tourist version” and the Tour de France version. 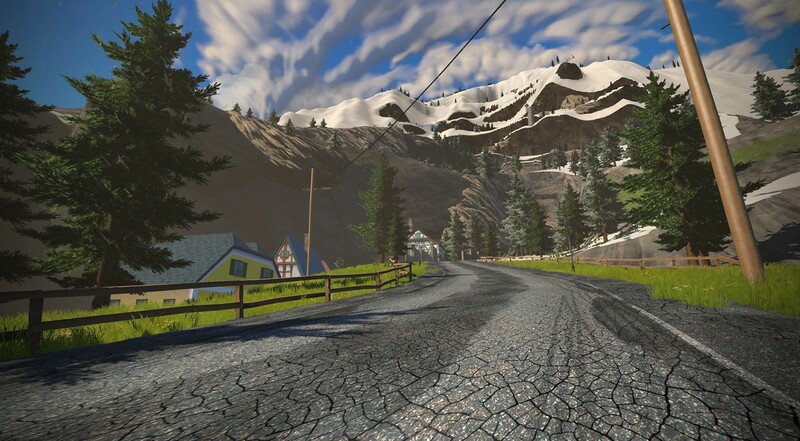 Alpe du Zwift matches the tourist version, which is ~2km shorter with 40 meters less climbing than the TdF. Here is our verified Strava segment for the timed KOM section of the new route. 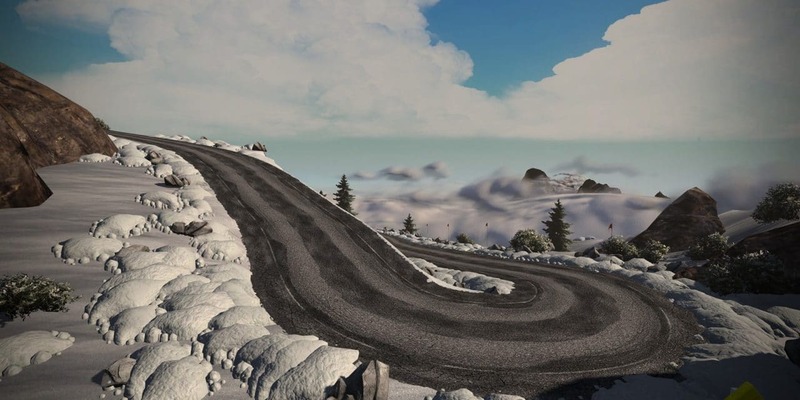 Zwift took their time making this climb visually interesting in terms of both natural and man-made features. 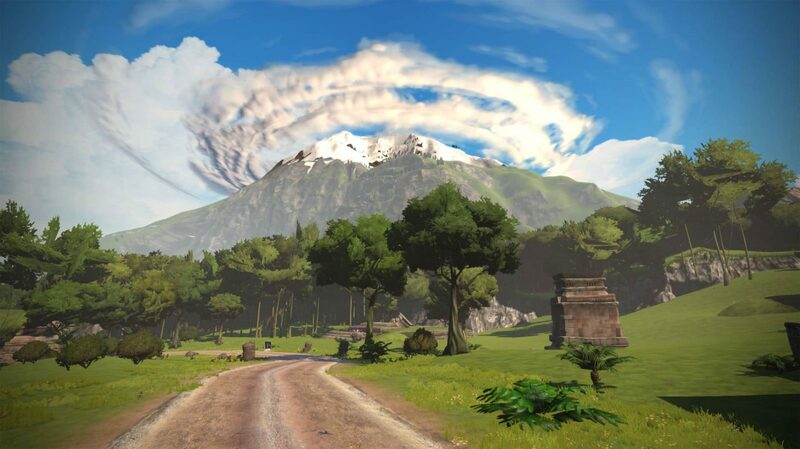 The landscape and flora change as you ascend, beginning at the bottom of the Jungle Circuit with lush grass and shrubs which change to pine trees which are eventually covered in snow. Soon enough you pass the treeline and are surrounded by only rocks and snow, but the visuals still dazzle with the northern lights visible at night and a cloud layer below so you really get the sense of being at altitude. Man-made features include an alpine village, stone tower outposts, snow camping, timber harvesting, a satellite array and some sort of scientific outpost with a sign calling it “Macready Point Watopia”. Signs on each bend count down to the top, and most of the bends include encouraging messages just like the outdoor climb (“Thin air don’t care”, “Earn that downhill”, “Don’t give up!”, “So close”, etc). 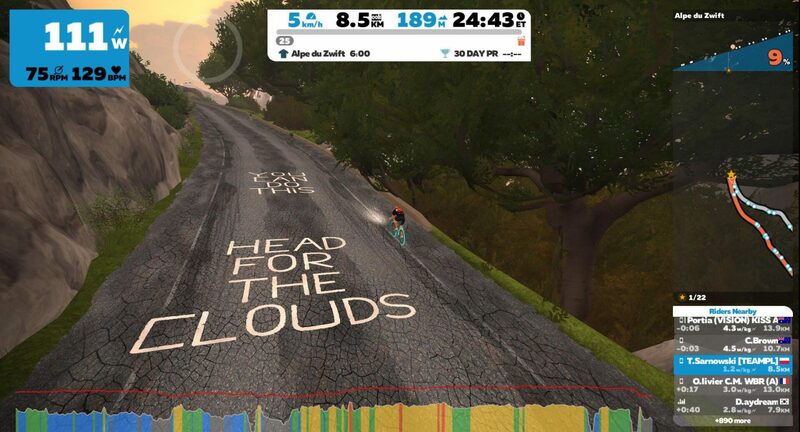 See if you can spot the names of some pro cyclist Zwifters as you make your way around the bends! When you reach the top you are greeted by a giant statue reminiscent of the statues which still grace the original Watopia Hilly route. 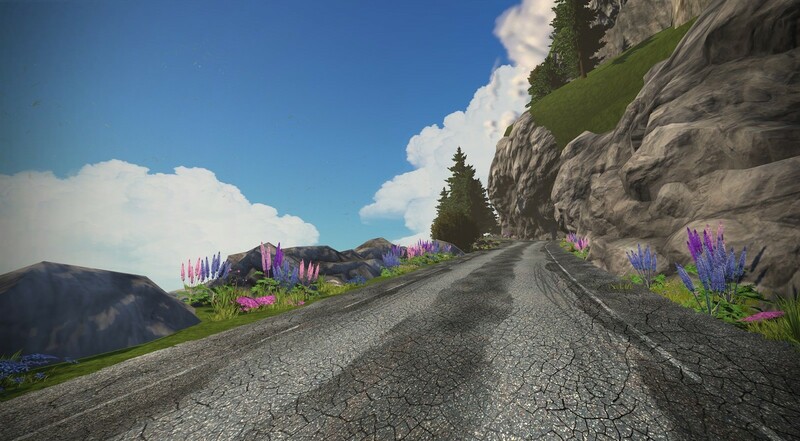 You must be level 12 or above to ride Alpe du Zwift, unless you join a group event which is riding on an Alpe route. 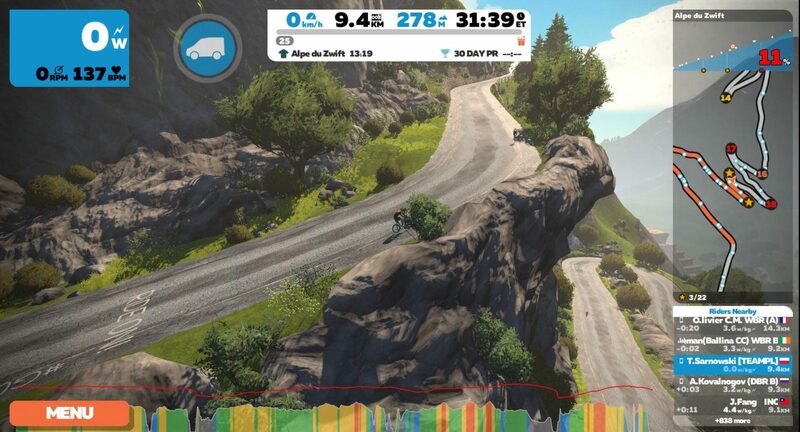 In the past, Zwift has been clear that they will only include a long climb in the game if they can gamify it enough to keep it interesting. We can see the beginnings of that with this release, although there are more features still to come. When you begin the climb, the map section expands vertically so you can better see what’s coming up. Each bend is numbered and starred off when completed. Additionally, when you reach the top of the climb a prize wheel pops up and spins, landing on items like gloves, helmets, etc. (This happens every time you complete the climb–if the wheel lands on a prize you’ve already won, you get 250XP instead.) 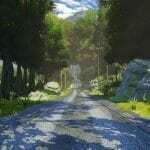 A welcome added incentive to make it up the biggest climb in Zwift’s virtual universe! All that climbing for a virtual helmet? Totally worth it! Zwift has also added a new badge you can earn (under Menu>Badges): the “Masochist” badge. How do you get it? 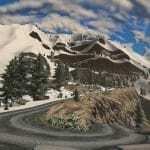 Climb Alpe du Zwift 25 times! There is also an “Avid Climber” badge given for riding Alpe du Zwift 5 times. Overall, I consider this a wonderful addition to Watopia because it’s something completely different from what we already have. 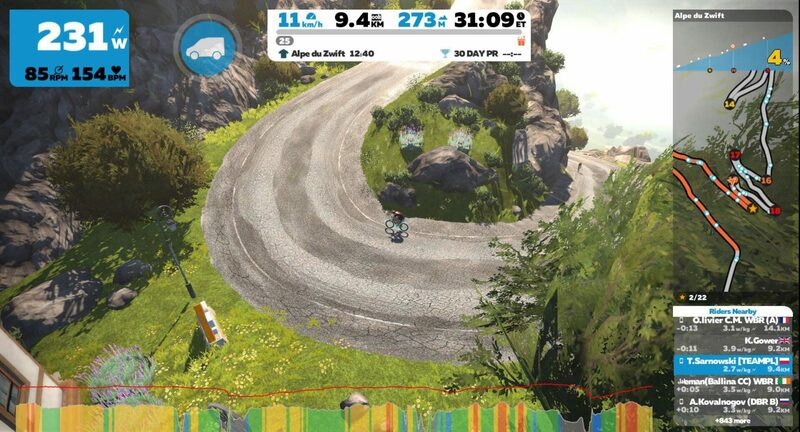 It also helps keep Zwift well ahead of its competition, many of whom are based around replicating iconic climbs. 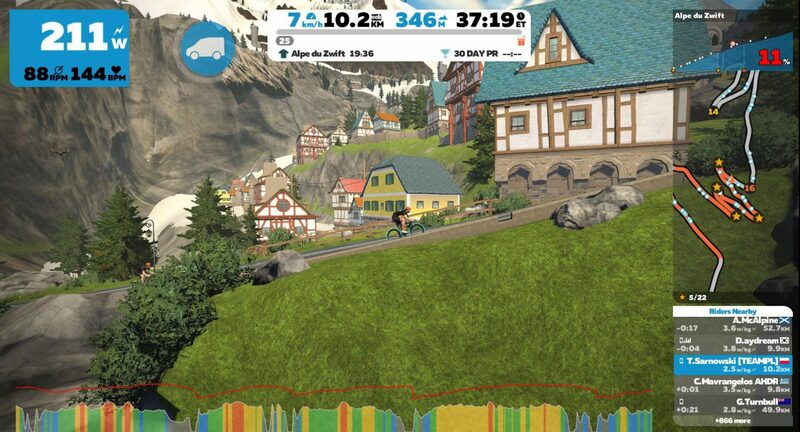 Well done, Zwift. Ride on! It’s absolutely stunning. I went up this morning .Rides brilliantly. 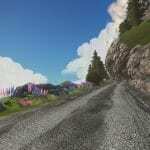 Really tough climb but the virtual scenery is amazing It’s without doubt the best part of Watopia .Great job Zwift. 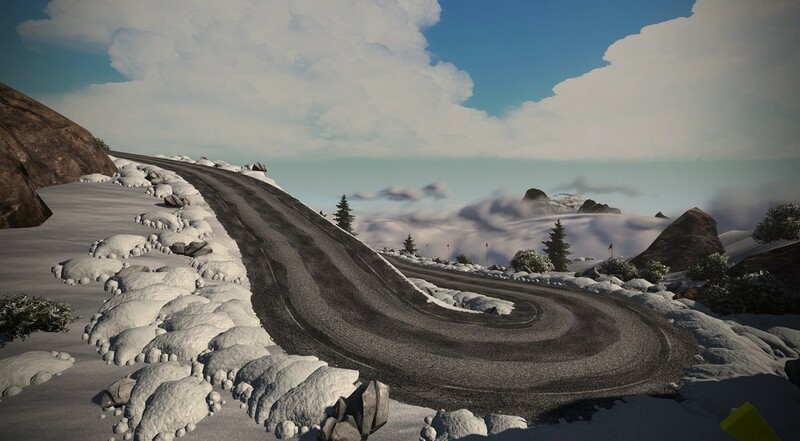 Hi, The new extended map is only for this climb or is a new feature to all the climbs in the game? Looking like their best update ever. Hugely impressed with what I can see of the visuals so far and they’ve chosen wisely with the 3 routes. Quick one, warm up one, and a big weekend type ride. The gamification of the route sounds fantastic too. Can’t wait to ride it tonight. 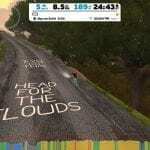 Even non-Zwifters will be curious and begrudgingly impressed. Not clear on what you get from completing the Spring Mission though. Anything? The segment was messed up at the end–I just fixed it. 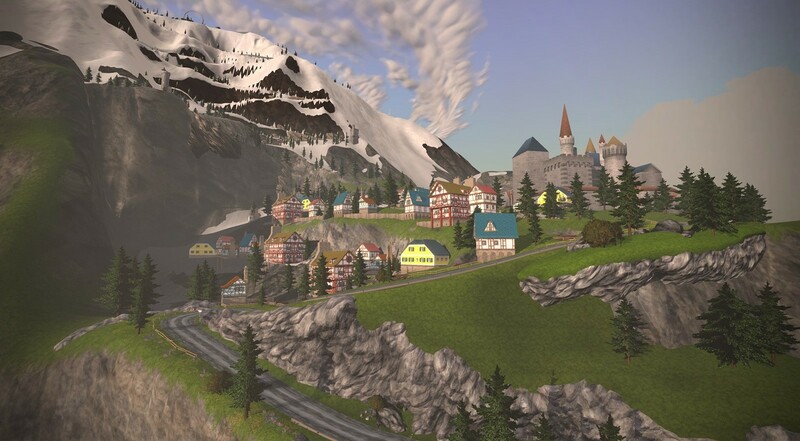 Agree, I would rather they did a fatithful recreation of Alpe d’Huez (along with Bourg d’Oisans etc) on a separate Alphine map as they did with London and the Surrey Climbs rather than tag it onto Watopia. 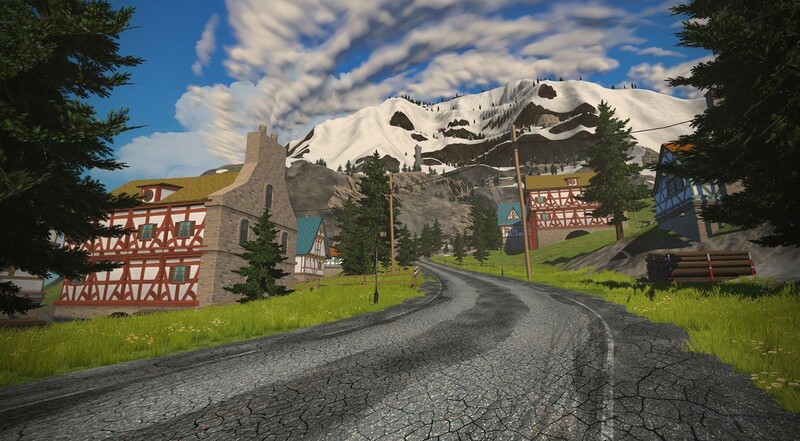 I have this sneaking suspicion that if you compared the German village on the KOM route, you would see that they had re-used some artwork for this village. Yeah, it isn’t 100% authentic. We knew it wouldn’t be going into it – they always put their own take on things, and while what they created seems to be visually stunning, recreating the whole thing would have been even more work. Will give this a go soon. I see there’s a Strava digital climbing challenge badge just been released too that includes virtual metres! Does the spinny wheel at the top unlock kit and/or special items? Stuff you can’t get elsewhere? Yes, it unlocks special stuff…. I got a Lazer Bullet helmet the first time up. I wonder if the special stuff is cosmetic or can actually make a speed difference. I see a little bike logo on that dial! ? I got the same helmet, nice touch by Zwift to have prizes at the top, hoping it does make some slight performance difference. I got dotted gloves. Love them. P.S. Perhaps they could add Les Lacets de Montvernier to the mountain that is located on the way to the jungle area (where the road work hazzard signs are) because that is a short two mile climb of very tight switchbacks. That might be a good location for them. Side note: The Lacets de Montvernier is an amazing climb that features beautiful switchbacks. The Tour De France bicycle race is climbing both the Lacets de Montvernier and Alpe d’Huez during the same stage of the event 2018. Very nice !!! Sigh. They did it to me again. I am “only” level 11. So it is off to ride some junk miles somewhere so I can get into this thing. I feel your pain. I’m level 9, so I can’t even get into the jungle yet! 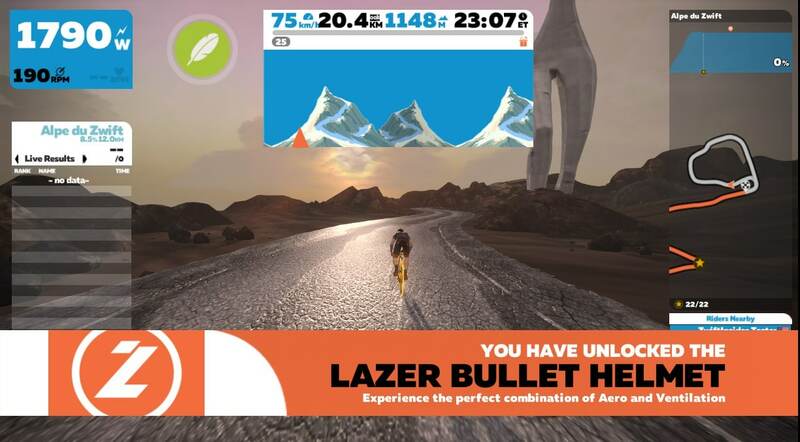 Zwift really do love to annoy newcomers, don’t they? They wait until release day to tell us we randomly require level12. It’s an extension for the climbers, which up until now, would have been training on the radio tower climbs… Except because the XP system works on distance, all this time I’ve been climbing would have earned twice as much XP on a flat course and I would be well over level12! 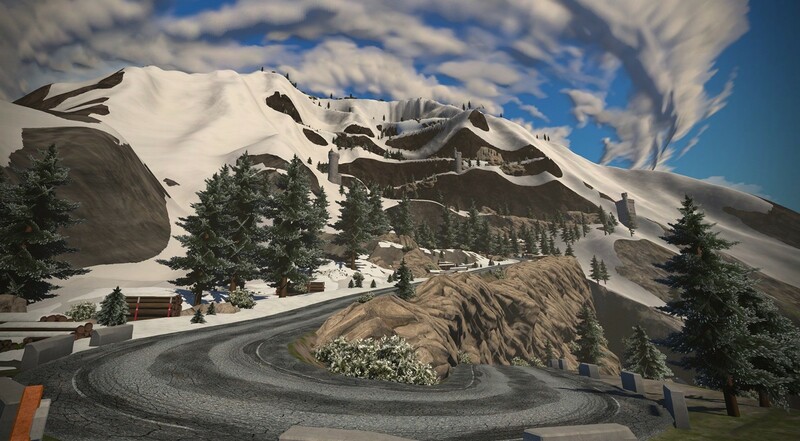 So until events start using this climb’s routes, here’s a back… Use the main menu and select “riders nearby” and look for a rider who has done 5+ miles and is travelling at less than ~10mph to teleport to this “exclusive” addition. Your Strava segment https://www.strava.com/segments/17264705 seems a bit “wonky” at the end with several loop the loops? Is that why the verified Segment has 1400 entries and the temp segment has double that? I am on temp but not on the verified. I was on the original verified segment but not the new one after this original was deleted and replaced – good excuse to go back and ride it a little quicker…well maybe a little quicker. Rode it this morning, Zwift did an amazing job with it. 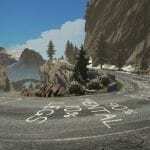 I always wanted to ride the Alpe d’ Huez. Now I can without leaving the basement. It’s a long tough climb. The first half your thinking “this isn’t so bad” the last half seems like it goes on forever. How Pantani did this in 36min is beyond me. Is the prize wheel available every time you ride it or one time only? Every time. If it lands on a prize you’ve already won, you get 250XP. climb 25 times in one ride or overall? It has to be overall, right? 25 times in one go would be crazy. But I don’t know for sure! I have not yet logged into Zwift since this update. Can you see the new mountain from most parts of the island? Looking forward to this! You can see it from many parts, for sure. See the pic at the bottom of the post (above) showing what it looks like from the jungle. Not coming up on my iPhone yet on Zwift when do the new routes update, I am a level 20 on Zwift? Still can’t see the new loops? Apple Store timing is different than Zwift’s… but I’m sure it’ll show up soon. It’s showing up on my iPhone as of this morning, here in California. Gah I’m two thirds through level eleven, I should have rode on the trainer instead of riding outside this morning. I think a change from miles to km’s is on the cards. Any idea why the ZwiftInsider verified segment has so many fewer efforts than the other one I see on Strava, even though they’re a pretty close match? Because my segment had a little bug in it, which I’ve since fixed (see comments above). Yay, so excited! I’m going to France with friends this summer to ride the real thing – this is going to be perfect training! Will get me ready to try the one day, there routes ride. I mean, for a genuine printed color paper certificate of completion? Who wouldn’t want that!?! Yay Zwift! Climbed it today. It’s really beautiful and well done, and I like all the little details, like the construction and the camp. Once I got to the descent, I got off the bike and cleaned up while my avatar sped down the descent, all the way to the entrance gate, so I got a “bonus” 10 minutes/7.5 miles with me literally off the bike. I wouldn’t mind some other, quicker way down, but I can’t think of any options other than a magic portal on the top. Yes… a magic portal back to the jungle so you have the option to leave or climb it again! There’s a helipad near the top but why not at the top? Maybe there will be a back road down to it. 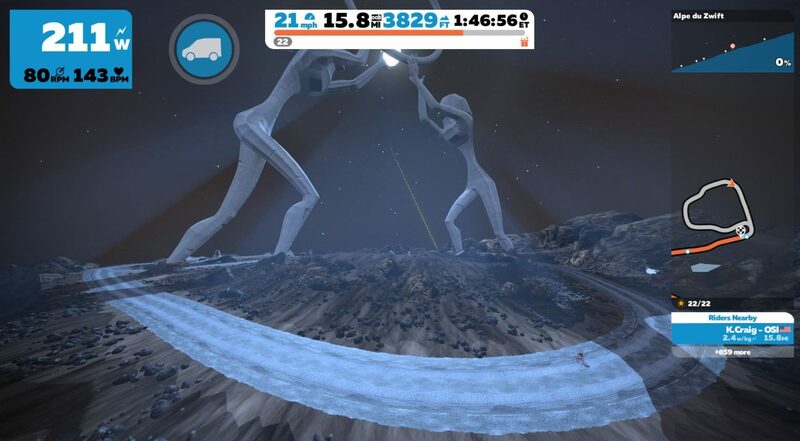 I see no problem with Zwift adding portals and you could even use them to link all 3 maps together. The real problem is how would Strava handle it. 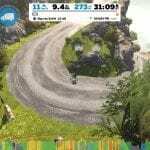 “Zwift took their time making this climb” Hah! As someone who lives in the mountains and just uses zwift for when I have to be in the flatlands… This is my jam. Have tried to go up 3 times now but as soon as I pass the timing gate for the mountain I lose power/ can’t turn the bike around. Anyone else have this issue? Absolutely loved the climb. It’s a whole new experience for me, now I’m wondering how life like it is. Really great job on the graphics and map to keep it interesting on the way up. I did feel a bit odd on the way down, so I’m more likely to end rides with it. I have ridden the real route, tourist and race. The real route is easier. This is harder than real life. @Jeffrey Spahn… I second that. Maybe in real life I had the the adrenaline of being there, so it seemed time flew by. I suppose indoor trainers always feel hard with the lack of airflow and a bit tedious. 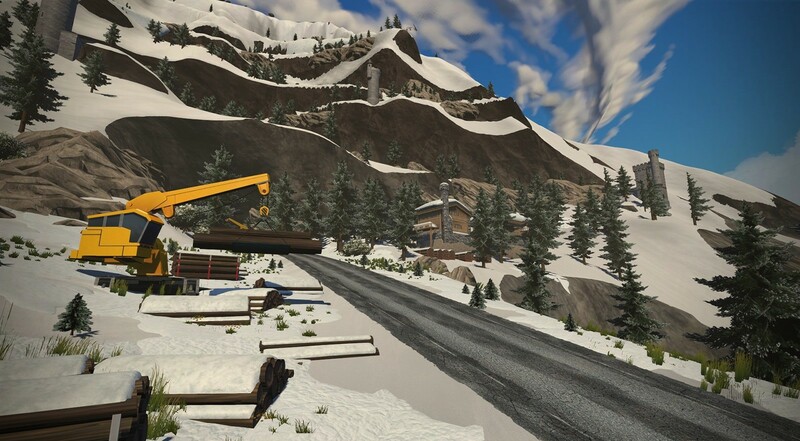 In my opinion, after the first few bends, the Alpe du Zwift looked absolute nothing like the real Alpe d’ Huez. I found this surprising and disappointing as it wouldn’t have been hard to draw “Dutch Corner” with a church on the inside bend and a few trees and picnic tables on the outside. 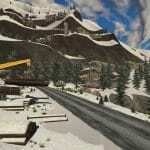 I can’t remember the real Alpe d’ Huez having any tunnels either? 3 switchbacks from the top and the site went down and all data was lost for my workout. Great ride but made slightly weird when a Zwift runner blew by me halfway up!! Loved it though. A great addition. Does anybody know what the bike prize is on the prize wheel? The one time I’ve hit the bike on the prize wheel I got a Meilenstein Lightweight wheelset. Please do a aero and climbing test of these wheels against the 808’s. Already did… they’re not as fast the 808’s for either. Possibly if one was going at a very low wattage up a long climb… I’m going to test that soon. But at 225w the 808s still win. 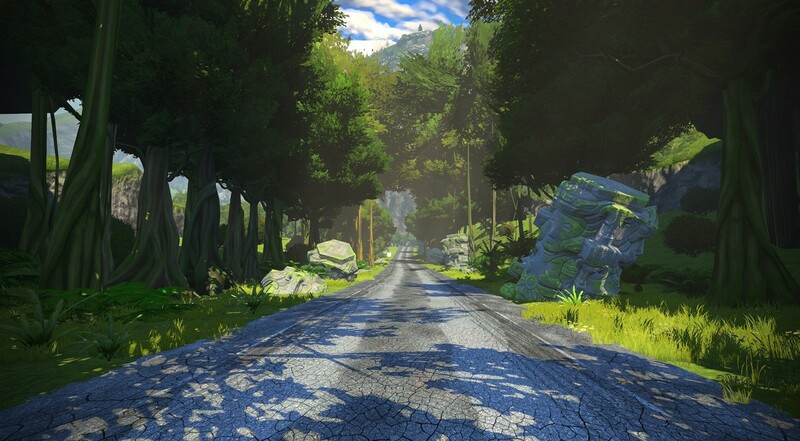 This may be obvious to most but if you want to get to the climb 1.3 miles quicker than the Road to Sky route, select the jungle circuit and you can select the right turn to the Alp du Zwift a couple of miles in. Did the Road to Sky yesterday morning and wow. Never thought I’d run out of water on my trainer. Does changing the setting of the “trainer difficulty” do anything? Basically if I set it at 20% instead of 50%, I would only have a partial feel for the actual climb. See https://zwiftinsider.com/using-the-trainer-difficulty-setting-in-zwift/ for an explanation of how that works. That was tough and not what I was expecting… having done the real climb and the Tacx equivalent RLV multiple times I found the Zwift version more difficult than both… Tacx smooths out the gradient much better so it’s possible to get into a rhythm, on Zwift the gradient was fluctuating constantly and it just felt more choppy. There aren’t accurate open topographic maps for most countries so when companies like Tacx make routes they usually go off GPS which is only accurate to 10-20m and is very smoothed. Zwift probably started with the same data but since they have to actually map out the route in game the smoothness goes away. I did the new Alp du Zwift on Saturday ,really enjoyed it, and got some new gloves off the prize wheel which I like ? I did it again Tuesday and got to the prize wheel only for it to land on the gloves again, bit of a kick in the balls when you’ve put in the effort, would be alot better if the prize you’d won already was removed . Bend number 7 is often called the ‘Dutch bend’ since it is full of Dutch supporters during the Tour the France. I’m guessing it is no coincidence that the same bend on Alpe du Zwift not only is full of orange tents, but also has ‘Go Gesink’ on the tarmac! Do you note the “Yeti” Warning? Later on there is a tree looks like a Yeti. 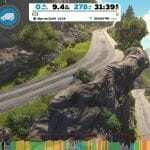 Cool climb with many “features” like the capricorn painting on the street (at the same hight at epic kom?) ..
to get the badges do you have to do all consecutive climbs in same session or can it be separate sessions? How can I check how many times I rode it already? Also you can look at your own activity log on the Zwift companion app. 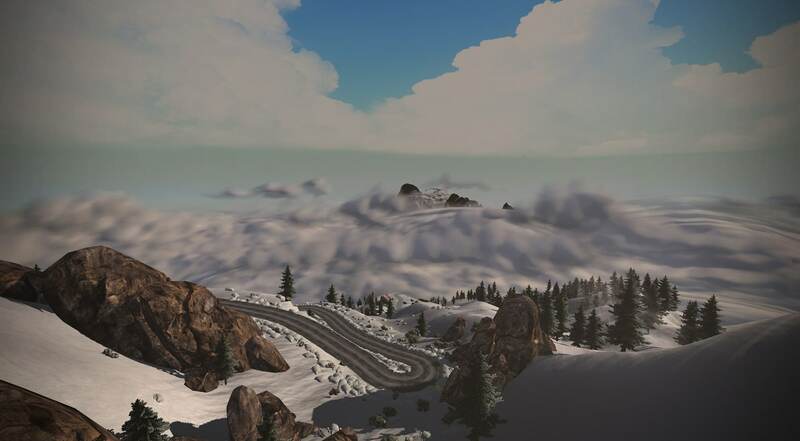 Ascents of 1148 mtrs are probably Alpe du Zwift. Just done my 14th Alpe, and finally got the wheels! 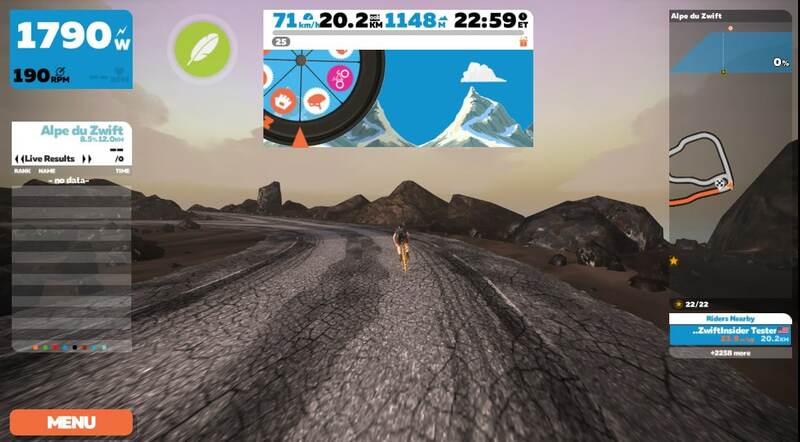 hi after completing alpe du zwift a few days ago it seems to have a great new feature showing distance and timings between corners.i was hoping to be able to get that data,so i can aid my progression.Is this available? RE: wheel of fortune unlocks. I landed on the mystery bike this morning but nothing happened. Anyone have any info/experience with this? Any idea if you get a reward or do for completing the Masochist badge? Bingo! I knew it…Ive been riding past it and thinking this is from a movie set, but couldn’t work out which one! indeed one of the greatest horror movies of its time. 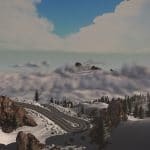 The zwift coder who made the mountain must of been a fan. On the map on right side of screen, when I go around a corner I got a gold star. Is that a PR or just acknowledging I completed that section?